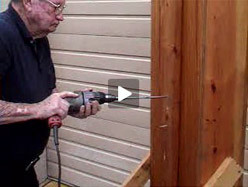 NCY Construction has been depending on Drill Tie® Systems’ products for over 10 years. “Drill Tie® Systems delivers a quality product that helps us expedite our labor costs on all applications . . . I can highly recommend both their products and their personnel. They have helped us use the right product for the application”. Drill Tie® Systems manufactures and stocks the full line of our proprietary Drill Tie® products. We work closely with our established dealer network to ensure Drill Tie® products are available to contractors throughout the Southeast. Standard sizes and common special sizes are stocked at dealer locations, and other specialty sizes are usually shipped within a few days of an order. Please call us for a list of dealers in your area. Direct shipment is available for contractors working outside of our established network. Contractor calls are welcome to discuss various forming applications or technical matters. For additional information, or to schedule a product demonstration, please call 1-877-2DRILL1. New Dealers – Drill Tie® Systems is continually looking to expand its service area. To learn more about Drill Ties ® or to become a stocking dealer, please call 305-557-4237. Required anti-spam question What color is grass? - Why ask? This confirms you’re a human user. Send Check this box if you want a carbon copy of this email.